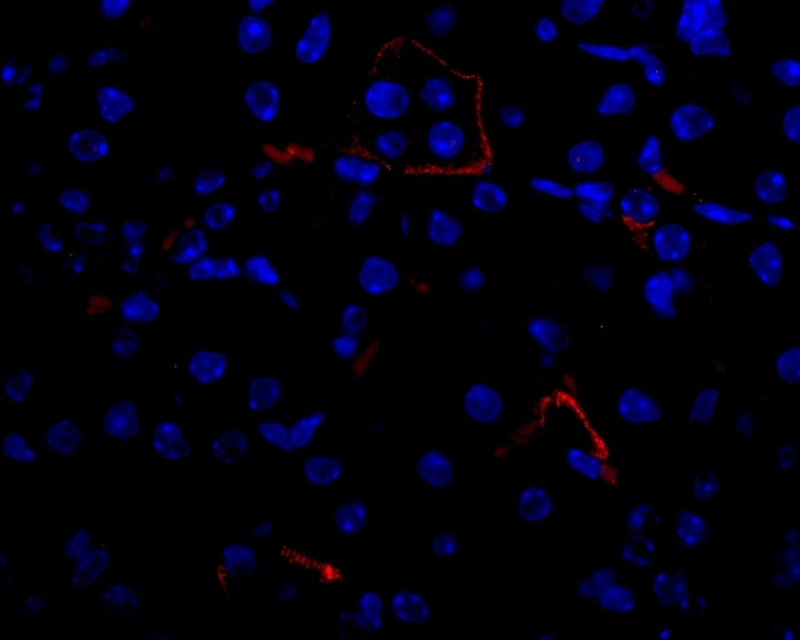 Staining of normal formalin fixed, paraffin embedded mouse kidney with Rabbit anti Mouse VEGF (AAM51). Rabbit anti Mouse VEGF antibody recognizes mouse Vascular Endothelial Growth Factor (VEGF), a protein active in angiogenesis, vasculogenesis and endothelial cell growth. 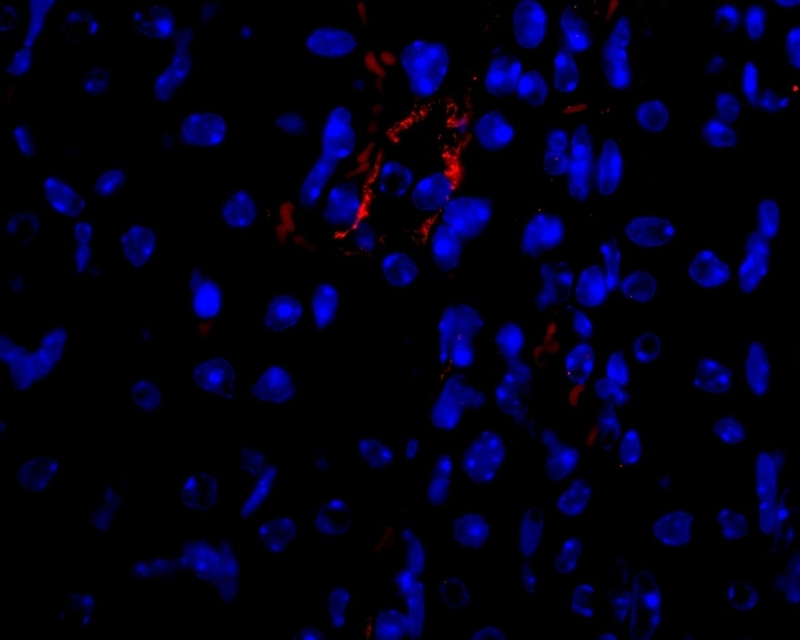 Rabbit anti Mouse VEGF antibody has not been cross adsorbed and may react with homologous proteins from related species. Antisera to mouse VEGF were raised by repeated immunisations of rabbits with highly purified antigen. Purified IgG was prepared from whole serum by affinity chromatography. IgG concentration 1.0 mg/ml after reconstitution. 1This product requires antigen retrieval using heat treatment prior to staining of paraffin sections. 1mM EDTA buffer pH 8.0 is recommended for this purpose. Where this antibody has not been tested for use in a particular technique this does not necessarily exclude its use in such procedures. Suggested working dilutions are given as a guide only. It is recommended that the user titrates the antibody for use in their own system using the appropriate negative/positive controls. 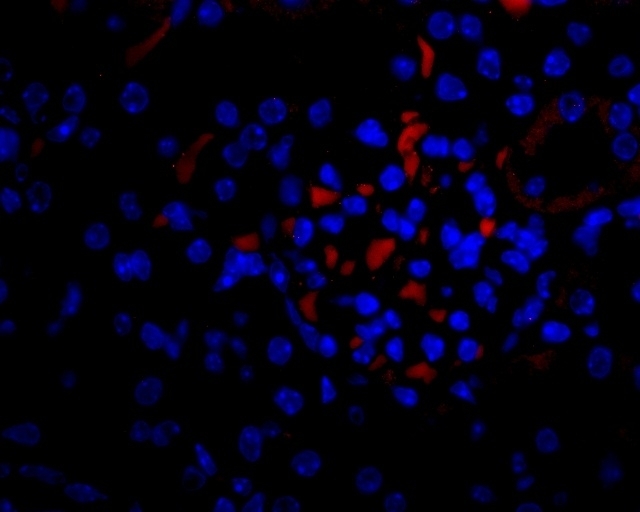 This antibody may be used in direct ELISA or as a detection reagent in a sandwich ELISA with AAM51 as a capture reagent and PMP67 as the standard. 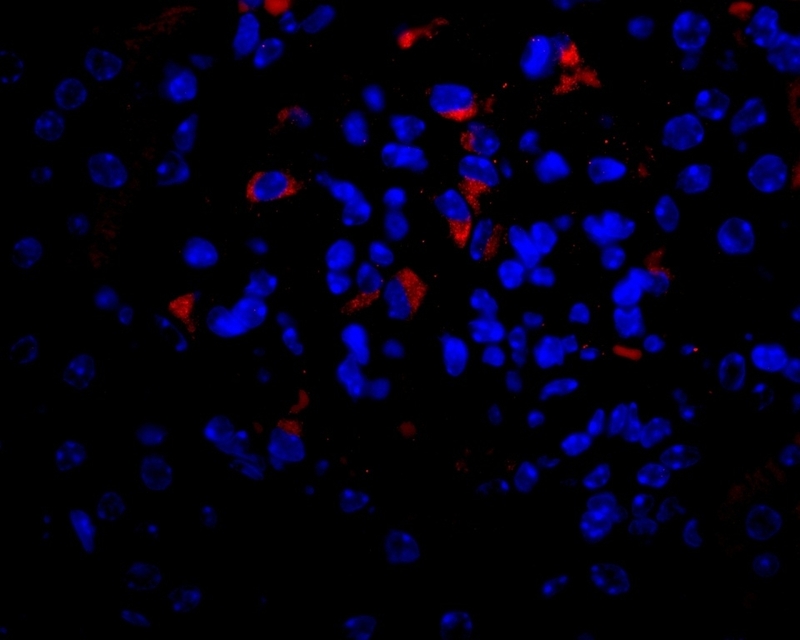 This antibody may be used in indirect ELISA or as a capture reagent in a sandwich ELISA with AAM51B as a detection reagent and PMP67 as the standard. Nahrendorf, M. et al. (2007) The healing myocardium sequentially mobilizes two monocyte subsets with divergent and complementary functions. J Exp Med. 204: 3037-47. Araújo, W.F. et al. (2015) Renin-angiotensin system (RAS) blockade attenuates growth and metastatic potential of renal cell carcinoma in mice. Urol Oncol. 33 (9): 389.e1-7. Lin, E.Y. et al. (2007) Vascular endothelial growth factor restores delayed tumor progression in tumors depleted of macrophages. HogenEsch H et al. (2016) Angiogenesis in the skin of SHARPIN-deficient mice with chronic proliferative dermatitis. Hogenesch, H. et al. (2016) Angiogenesis in the skin of SHARPIN-deficient mice with chronic proliferative dermatitis. Exp Mol Pathol. 101 (3): 303-7.